I believe the comment is instructive. Notice that it communicates a genuine struggle over an important issue. Absent is the typical rhetoric that often times enters into the pro-life vs. pro-abortion choice debate. As this comment demonstrates, the abortion debate is often an emotional one. However, in my response to these thoughtful points, I will strive to say what I think about the points, not how I feel about them. This should not be interpreted as cold or callous, but as my attempt to offer a sound and objective response that is factually based. These situations are indeed tragic and those who have suffered through such a horrific event need to be shown the love of Christ. They need our love and compassion, not our condemnation. "Protection of the life of the mother as an excuse for an abortion is a smoke screen. In my 36 years in pediatric surgery I have never known of one instance where the child had to be aborted to save the mother’s life. If, toward the end of the pregnancy complications arise that threaten the mother’s health, he will take the child by inducing labor or performing a Caesarean section. His intention is still to save the life of both the mother and the baby. The baby will be premature and perhaps immature depending on the length of gestation. So, contrary to the claims of pro-abortion choice advocates such as Hillary Clinton7, we can confidently conclude that late-term abortions are almost never necessary to save the life of the mother. Finally, as others have pointed out, in regard to the extremely rare cases such as the one shared, advocates of the pro-life position favor legislation that would allow for life-saving measures on behalf of the mother. Exceptions: Is Abortion Ever Permissible? Is Abortion Ever Necessary to “Save the Life of the Mother”? 1. FYI- I am not a Donald Trump supporter, nor am I a Hillary Clinton supporter. Neither have earned my vote this election season. In my humble opinion, both are morally unacceptable candidates. "The toughest part of a D&E abortion is extracting the baby's head. The head of a baby that age is about the size of a large plum and is now free floating inside the uterine cavity. You can be pretty sure you have hold of it if the Sopher clamp is spread about as far as your fingers will allow. You will know you have it right when you crush down on the clamp and see white gelatinous material coming through the cervix. That was the baby's brains. You can then extract the skull pieces. Many times a little face will come out and stare back at you." 3. For the record, the reader kindly gave me permission to respond to her comment via the blog. 4. Randy Alcorn, Why-Pro-Life?, p. 79. 5. 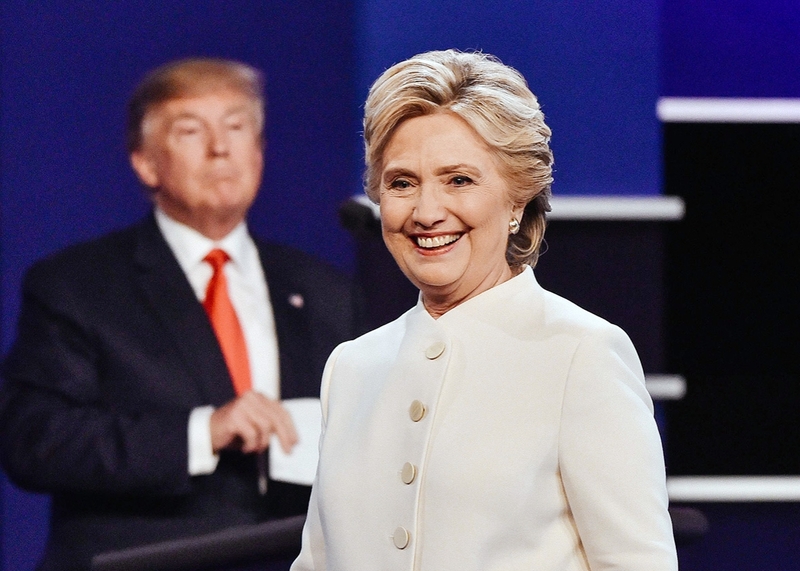 Virginia Kruta, "Even Democrats were Cringing When Hillary gave 'Late Term Abortion' Answers," Oct. 2016. 6. Alan Guttmacher, “Abortion Yesterday, Today, and Tomorrow,” The Case for Legalized Abortion Now (Berkeley: Diablo Books, 1967), 9. 7. Further, it should be noted that research doesn’t support Hillary Clinton’s claim that late-term abortions are performed for ‘life and health of the mother.’ See here. 9. Randy Alcorn, Ibid., p. 80-81.